Heba S. Amin and Abd El-Rahman A. Abd El-Rahman. The present study was conducted for identification of molecular characterization of Salmonella enterica isolated from 200 samples of fresh chicken meat and 100 samples of ready to eat chicken meat. Samples were assessed by performing the pre-enrichment and enrichment culture, biochemically characterized by the analytical profiling index (API 20E system). The primers were selected for invA, stn, avrA, sefA, fliC and stm 4495 genes, specific for the detection of Salmonella enteritidis, Salmonella typhimurium and Salmonella kentucky. Standard bacteriological examination revealed that 7 S. enterica isolated from 200 chicken meats with a percentage of (3.5%), including 5 S. typhimurium with a percentage of (2.5%) and 1 for each of S. enteritidis and S. kentucky with a percentage of (0.5 %), while could not isolate S. enterica from ready to eat chicken meat. The results of multiplex PCR for the three isolated serotypes of Salmonella enterica (1 for each S. typhimurium, S. Kentucky and S. enteritidis) could detect the universal gene (invA) and virulence genes (avrA and stn) in all examined serotypes, while (fliC) gene was detected in both S. typhimurium and S. kentucky only while not detected in S. enteritidis, (stm 4495) gene was detected only in S. typhimurium but was not detected in S. kentucky and S. enteritidis. (sefA) gene was detected only in S. enteritidis but was not detected in S. typhimurium and S. kentucky . Key words: S. typhimurium - S. enteritidis - S. Kentucky - chicken meat - Multiplex-PCR. Abd-Elghany, S. M., Sallam, K. I., Abd-Elkhalek, A., Tamura, T. 2014. Occurrence, genetic characterization and antimicrobial resistance of Salmonella isolated from chicken meat and giblets. Epidemiol. Infect, 1-7. Cruickshank, R., Duguid, J. P., Marmion, B. P., Swain, R. H. 1975. Medical Microbiology. 12th ed., Vol. II. Livingstone. Limited, Edinburg, London and New York. Forshell, L. P., Wierup, M. 2006. Salmonella contamination: a significant challenge to the global marketing of animal food products. Revue scientifique et technique, 25 (2): 541-554. ISO, 6579 2002. International Organization for Standardization: Microbiology of food and animal feeding stuffs - Horizontal method for the detection of Salmonella Sp.., Pp: 1-27. Jamshidi, A., Bassami, M.R., Afshari-Nic, S. 2009. Identification of Salmonella spp. and Salmonella typhimurium by a multiplex PCR-based assay from poultry carcasses in Mashhad- Iran. Int. J. Vet. Res., 3 (1): 43-48. Kauffmann, F. 1972. Serological diagnosis of salmonella-species. Kauffmann-White-Schema. Nagwa, S. R., Nashwa, O. K., Mervat, E. I., Jehan, S. A. 2012. 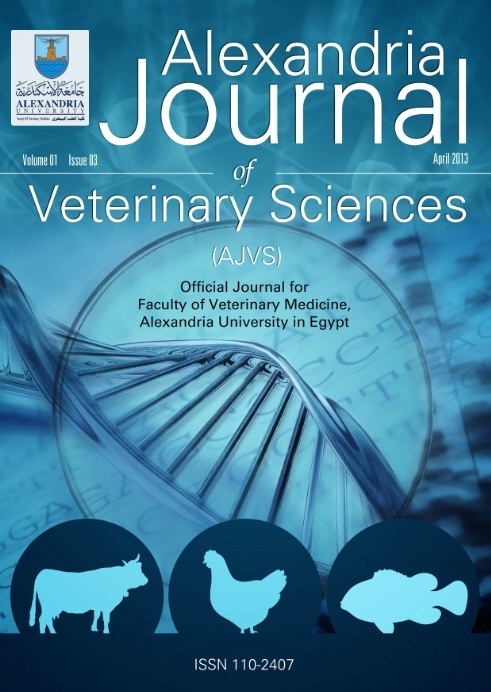 Epidemiological and molecular studies of Salmonella isolates from chicken, chicken meat and human in Toukh, Egypt. Global Vet., 8 (2): 128-132. Oliveira, S. D., Rodenbusch, C. R., Ce, M. C., Rocha, S. L. S., Canal, C. W., 2003. Evaluation of selective and non-selective enrichment PCR procedures for Salmonella detection. Letters in applied microbial. 36 (4): 217-221. Yan, Y. M. Sekaran, S. D. 2010. Multiplex polymerase chain reaction (M-PCR) assay for the detection of Enterobactericeae in clinical samples. Afr. J. Microbiol. Res., 4 (11): 1186-1191. Environ Sci Pollut Res 2018; (): . Journal of Applied Animal Research 2018; 46(1): 331. Journal of Applied Animal Research 2017; (): 1.